Williston, VT (October 9, 2012) -- Officials with Rally America, the premier sanctioning body for performance rally in North America, celebrated the closing of the 2012 Rally America National Championship with a festive awards ceremony held at the Red Lion Inn following the conclusion of the Olympus Rally on September 23rd. National teams were in attendance to honor the recipients of Rally America's annual national awards after a hard fought season that produced fantastic stories and many surprises. Paul Giblin, Rally America's Director of Business Development, led the ceremonies to present the trophies for this year's Rookie of the Year, overall champions, Super Production Class and Two-Wheel Drive Class Champions. 2012 Jeff Moyle Cup "Rookie of the Year"
The Jeff Moyle Cup is named after a successful driver who made a huge impact from the very first year he competed and eventually found himself as a qualifier for ESPN's X Games. Moyle touched every driver he met with pure enthusiasm and zest for excitement. Today his cousin, 20-year old Mason Moyle from Houghton, MI is continuing to campaign a rally team. This much-anticipated award is given annually to a first-year driver who achieves the most points in National Championship competition - regardless of class. 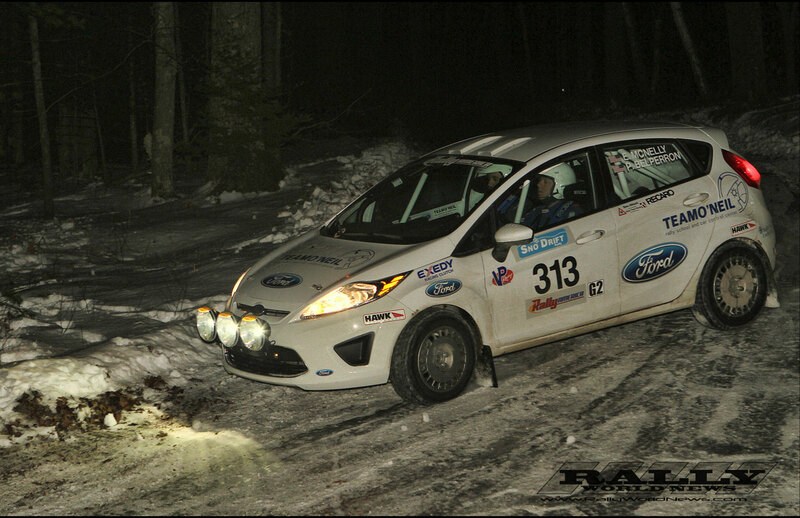 This year's "Rookie of the Year" was awarded to Team O'Neil Rally School's Ed McNelly from Oxford, ME. 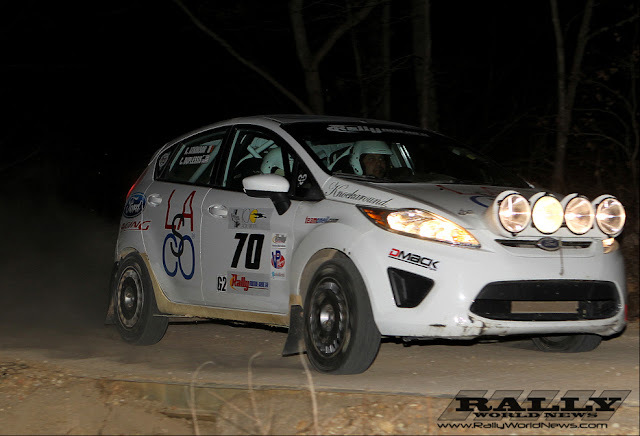 McNelly finished his inaugural National Championship season in style piloting his 2011 Ford Fiesta R2 to another Two Wheel Drive (2WD) podium at the Olympus Rally - the final Rally America event of the 6-event rally America National Championship. McNelly joins a long list of extremely talented Rookie of the Year winners that include action sports legends Ken Block and Dave Mirra. 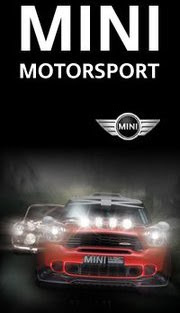 These two prestigious awards are given to the overall Rally America National Champion driver and co-driver each year. The award is named after John Woolf and Grant Whittaker who is fondly remembered to have won the 1980 Golden West Rally (featured in the BFGoodrich film "Race Against Time") in their very first competitive appearance. For the second straight year, Subaru Rally Team USA's David Higgins and Craig Drew were awarded the Woolf and Whittaker Cups. The team consistently finished in the top two positions all season long and tied the Rockstar Energy Drink Rally Team of Antoine L'Estage and Nathalie Richard with two overall victories. It's the fourth American Overall National Championship for Higgins since he started competing here in 2002. "It's been a very consistent year for us and the team, as we have finished all the events and 2nd place was our lowest score," commented Higgins. "Although, I am a little disappointed that we did not win a few more events due to the dust, but at the same time we have had more than double the amount of stage wins to any other driver. Its always a great feeling to finish a year as Champion and even better when it's two years in a row and fourth from four attempts." Higgins added, "It's interesting that both Travis (Pastrana) and I have won it four times each in the last 10 years, I think we need to have him back to settle the score!" The Roy Donison Cup was originally awarded to the Production Class winner at the end of the year before the category was replaced in 2009 with the Super Production (SP) Class. The Class is continuing to show competitive improvement since its inception with SP cars cracking the overall top three at National Championship events. Now, Lauchlin O'Sullivan from San Fransico, CA becomes the second SP driver in consecutive seasons to finish among the top three drivers overall in the Rally America National Championship. 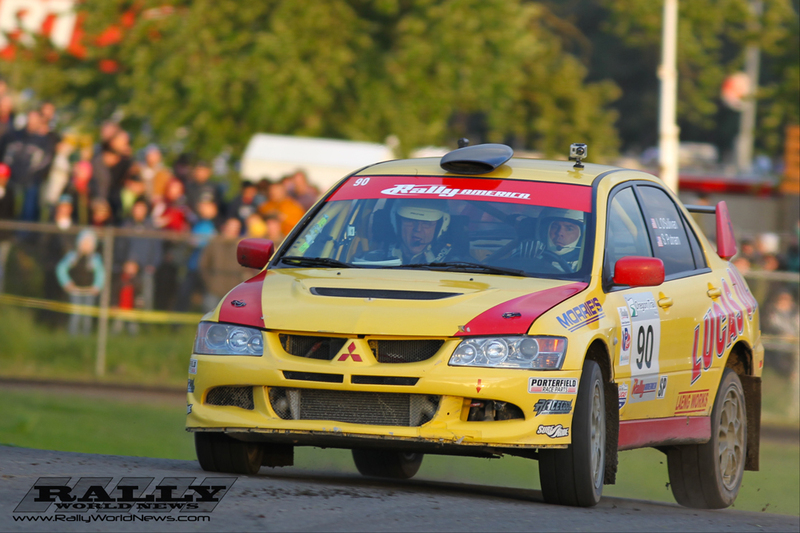 O'Sullivan, an ex-Mitsubishi factory team driver, battled through early mechanical issues and with last year's SP Champions, Travis and Terry Hanson from Michigan before the Hansons suffered a season-ending crash at the New England Forest Rally in July. O'Sullivan then thwarted strong pushes from newcomer David Sterckx from Los Angeles, CA and longtime rival Ramana Lagemann from Somerville, MA to lock up the SP Title for good at the recent Olympus Rally. "The Championship feels really good," commented O'Sullivan, "You have to push hard to beat your fellow SP guys! It's not a cake walk by any means. But we proved we were the quickest team out there and beat them fair and square." The Jon Woodner Cup is presented annually to the Rally America National Two-Wheel-Drive (2WD) Champion and is named after a dedicated and influential rallyist, Jon Woodner from New Zealand. Eleven-time U.S. Rally Champion John Buffum from Colchester, VT remembers Woodner as, "... a sportsman in the truest sense. He raced for the pure joy of doing it." Chris Duplessis from Bethlehem, NH showed why he's considered the best 2WD driver in North America by securing his third Rally America 2WD National Championship in five years at the age of 25. This young dynamic driver is a favorite among his peers and he gained even more respect this year after brief stints in the 2012 World Rally Championship (WRC) Academy where the world's best 2WD competitors compete. Duplessis Rally America National 2WD Championship is also the first National Championship win for the Ford Fiesta anywhere in the world. "It was a great season and we got the Championship even missing a round," said Duplessis, "The It was a really, really good season and the Fiesta was awesome all year. I also couldn't have done it without TAG Rally Sport (TRS) who took care of the car for us at the last two National Championship events." 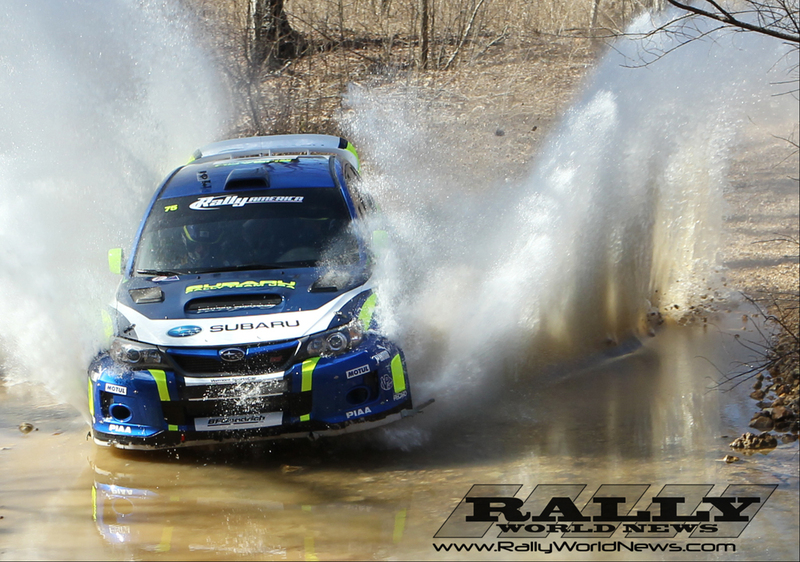 The winners of Rally America's national honors could not have received their accolades without their co-drivers. It is the role of the co-driver and the teamwork that occur inside the car that makes the sport of rally unique among motorsports. As mentioned before Subaru Rally Team USA's Craig Drew is the recipient of the Whittaker Cup for the top finishing co-driver. Scott Putnam from Minneapolis, MN won his first Super Production co-driver championship in Lauchlin O'Sullivan's rally car. Jeremy Wimpey from State College, PA took the 2WD Class co-driver championship helping navigate for Scion Racing's Andrew Comrie-Picard. The Joseph Andreini Rally of the Year award recognizing Rally America's best-organized and exciting National Championship event will be announced at a later date.